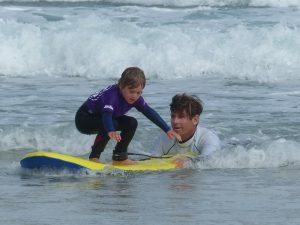 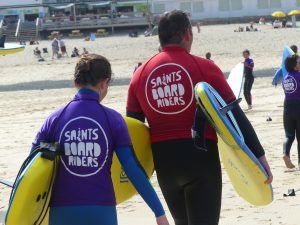 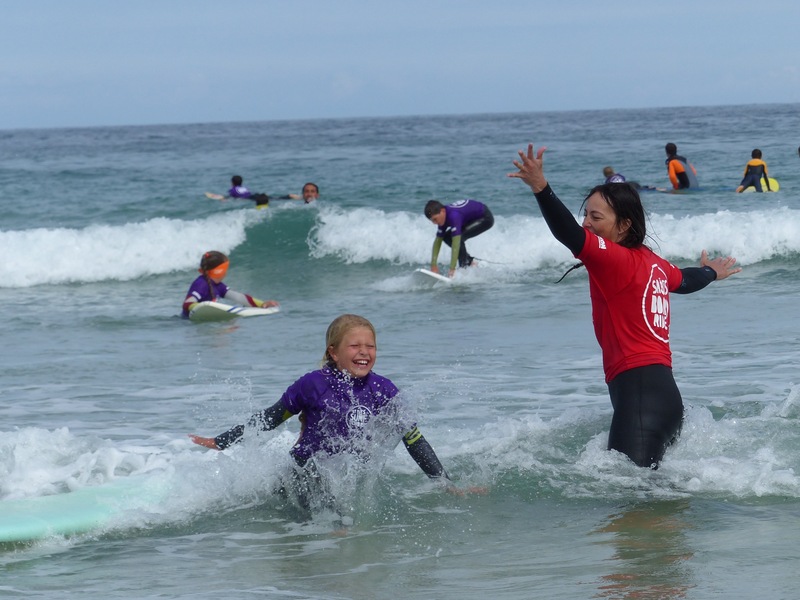 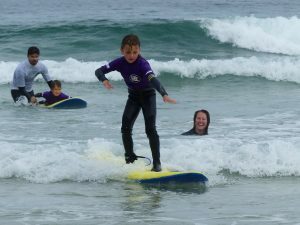 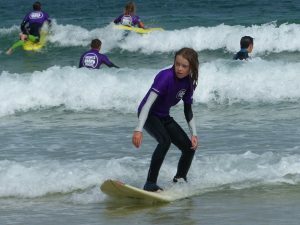 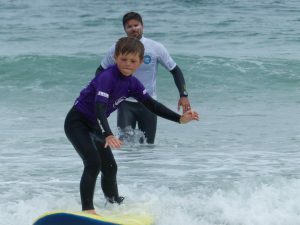 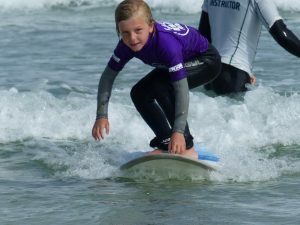 Before today’s Kids Club, we were delighted to welcome to the beach two generous benefactors of saints boardriders. 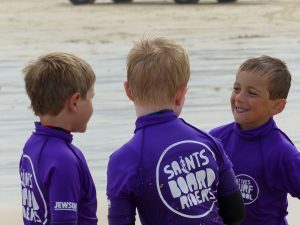 A donation from Jewsons has enabled us to give every junior member a personal rash vest this season, enhancing the club’s identity and our members’ visibility both on the beach and in the water. 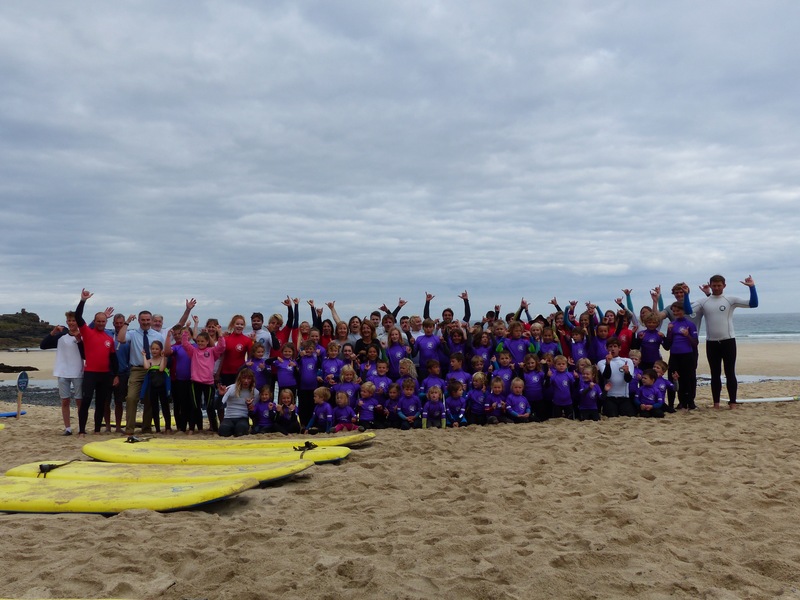 Similarly, a donation from Michelle Footman, organiser of the Carbis Bay Bonfire Night celebration has kitted us out with those red helpers vests and a suite of competition vests. 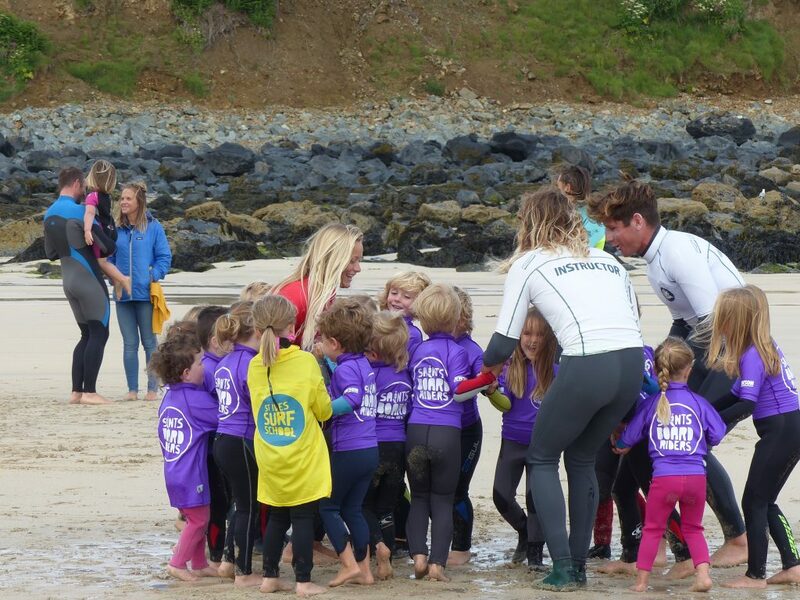 It greatly lifts us as a young club to find such help and encouragement from within our community and we were delighted to have a chance to show our gratitude. 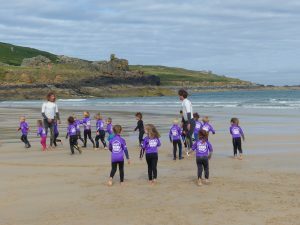 The banner picture shows the 9 o’clock group with instructors, helpers, admin, and somewhere in the fray Nigel Smitheram of Jewsons, Penzance. 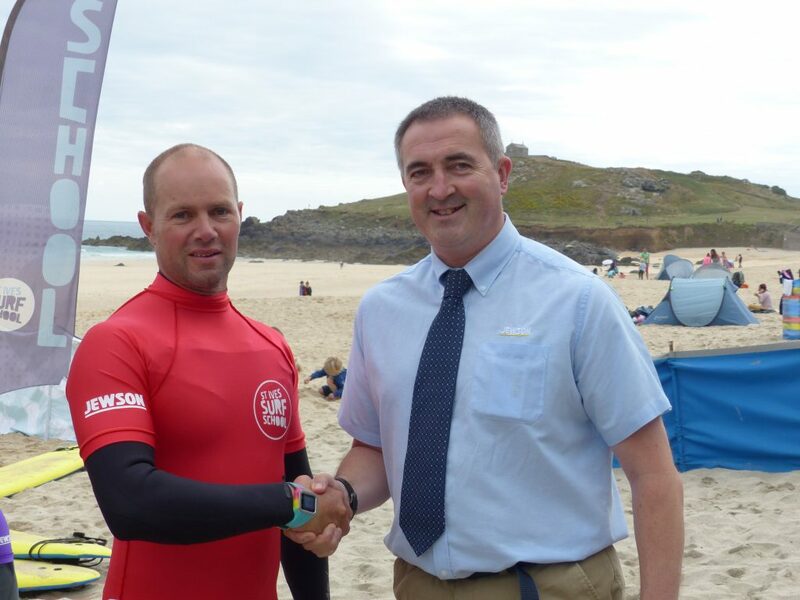 Below, Nigel receiving the thanks of our chairman, Steve Hewlett. 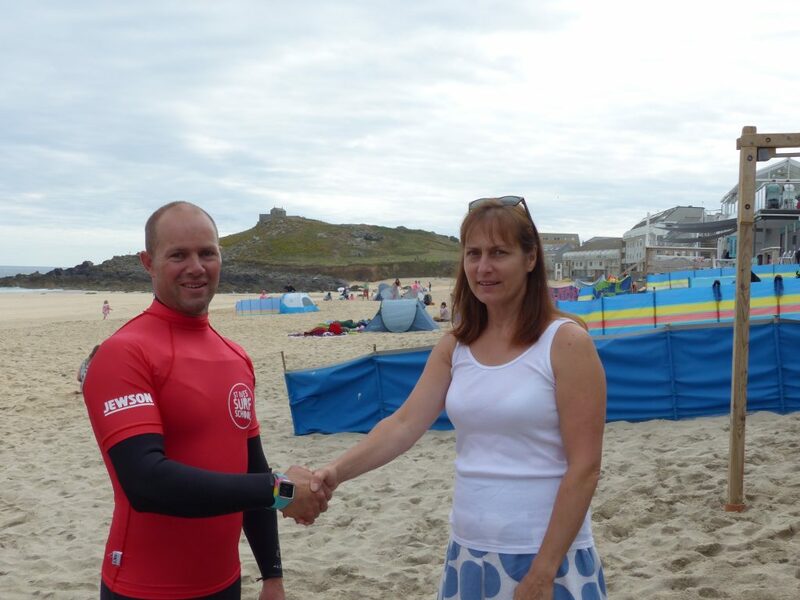 Steve, sporting one of those new helpers vests, also recorded our thanks to Michelle! 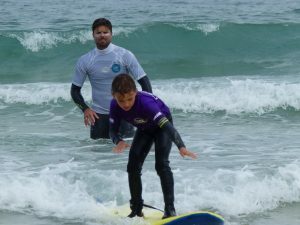 To Michelle and Jewsons, I say thank you for your support. 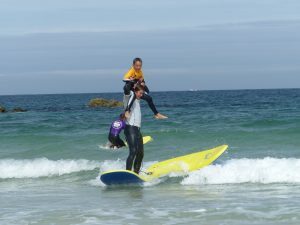 We value it highly! 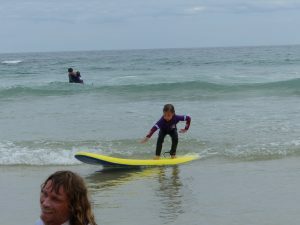 Well, I didn’t know what to call it myself, though I did hear one young girl call it “The best session ever!” as she got out of the water. 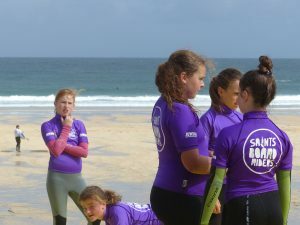 That gives such satisfaction to the coaches and helpers. 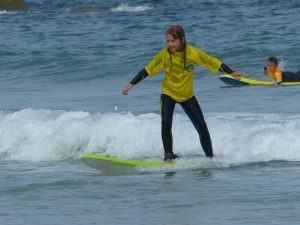 Thank you Kaitlyn for that encouragement! 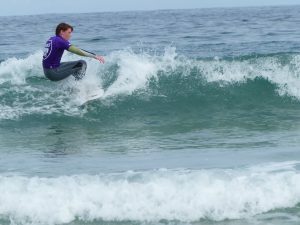 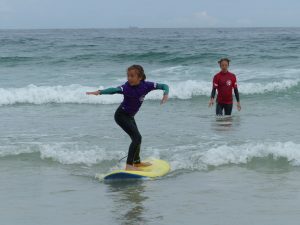 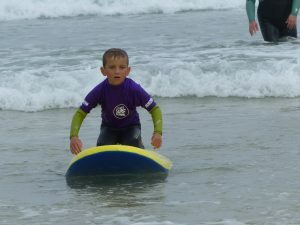 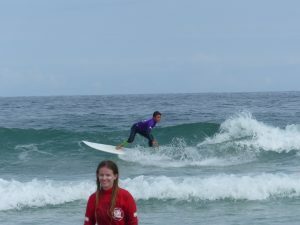 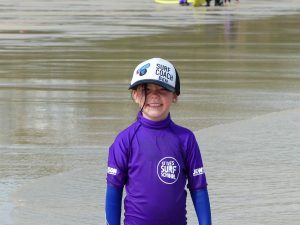 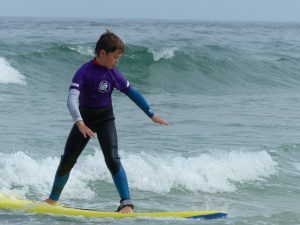 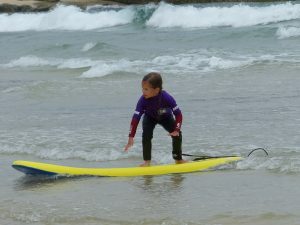 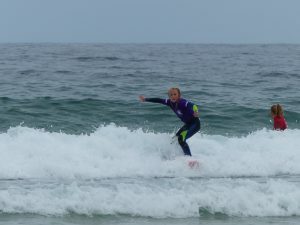 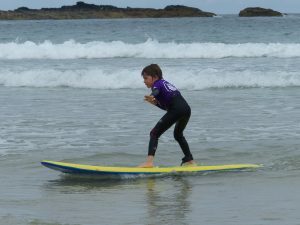 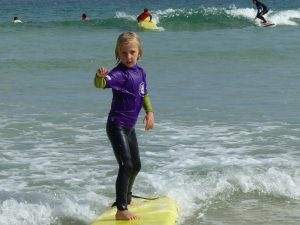 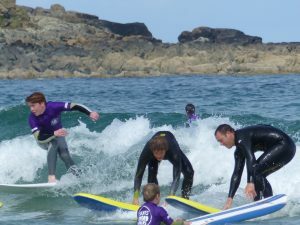 The first session began at low water, and the waves looked small as we gathered at the surf school. 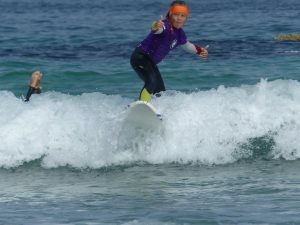 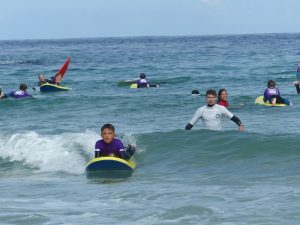 However, we found a persistent swell with the set waves about chest-high to our sharks, ideal conditions to serve up a surfing session for all sizes and competencies. 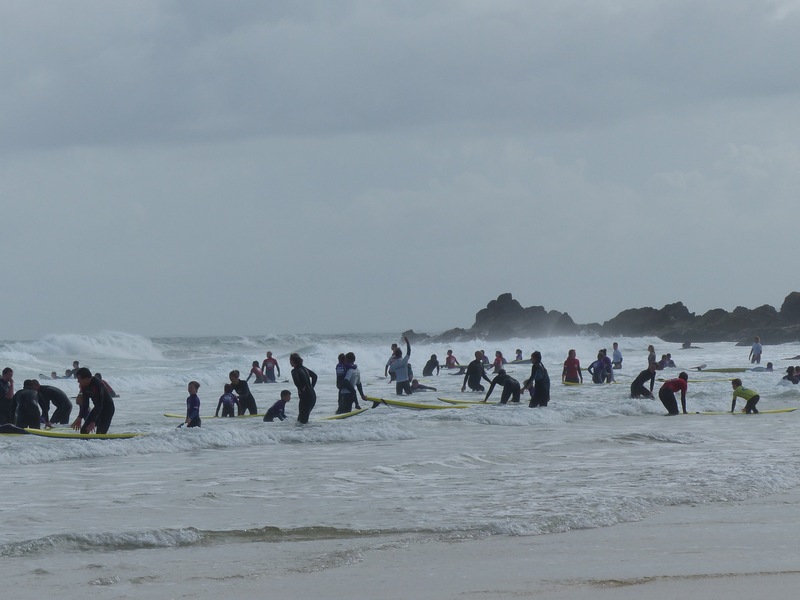 Only 89 surfers today, our smallest attendance this year, but I suspect there may have been a swimming gala somewhere, as none of our ace competitors were present. 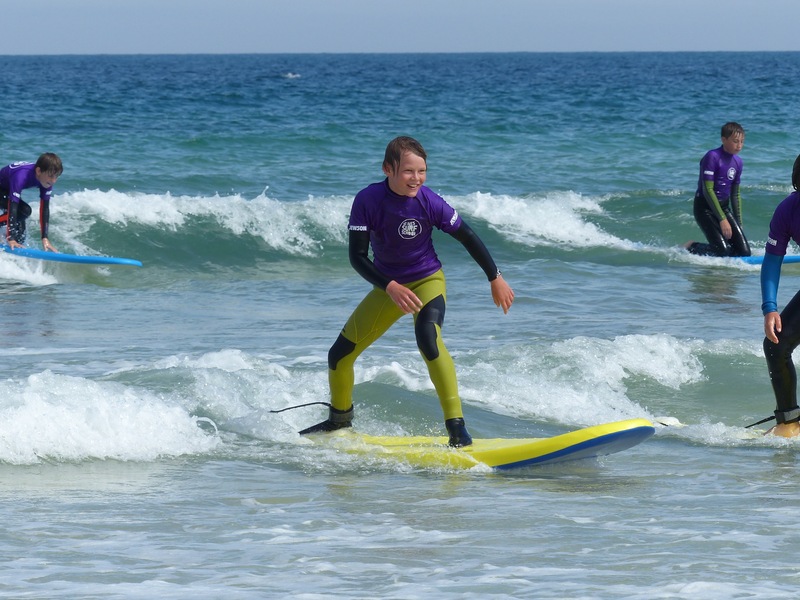 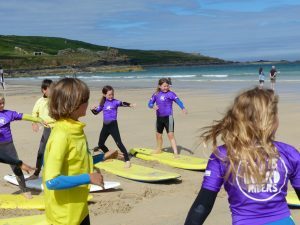 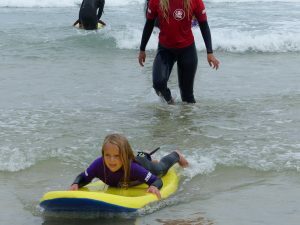 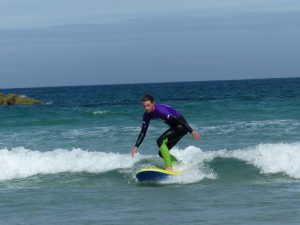 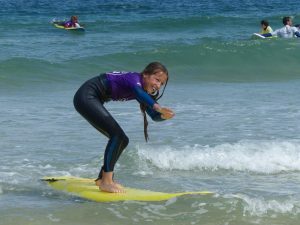 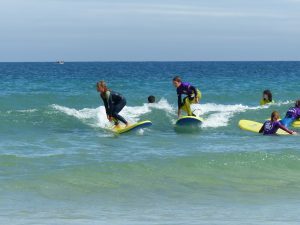 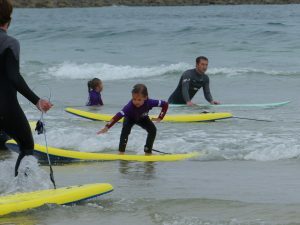 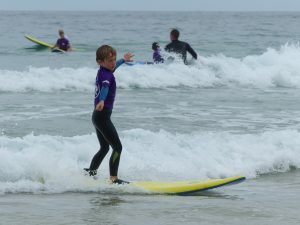 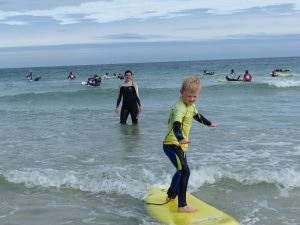 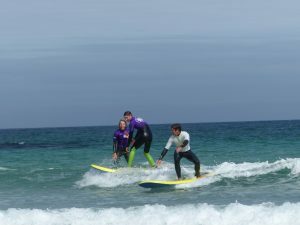 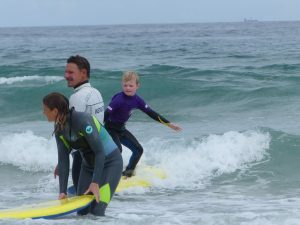 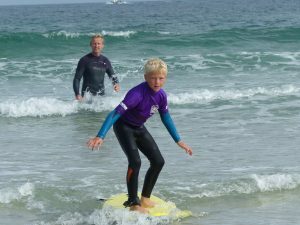 Thankfully, we had best use of the sea conditions, as the beach filled to capacity as the day wore on and a fresh batch of holidaymakers got to enjoy Porthmeor at it’s best – albeit it’s busiest too! 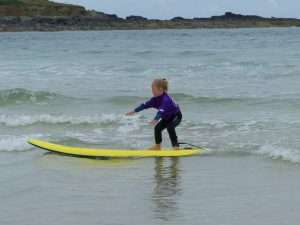 A blustery Saturday morning saw a rippy low tide offering some chunky waves to the Dorys and Nemos in the 9 o’ clock session. 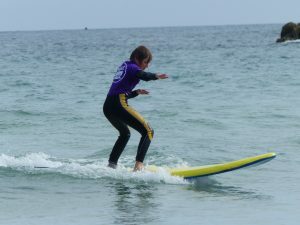 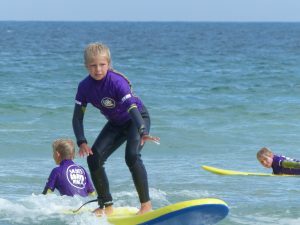 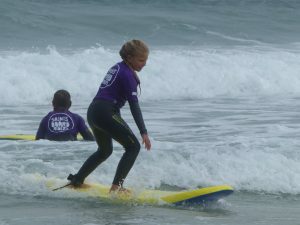 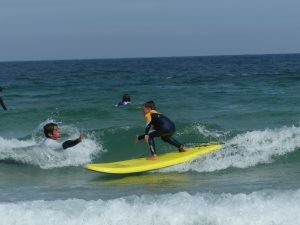 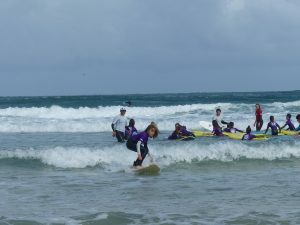 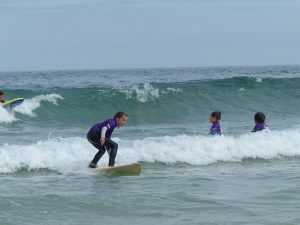 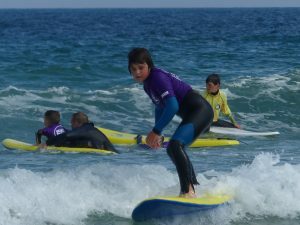 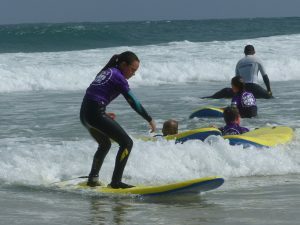 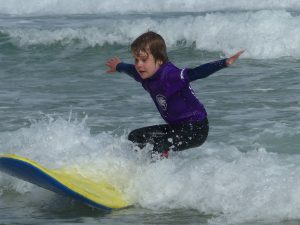 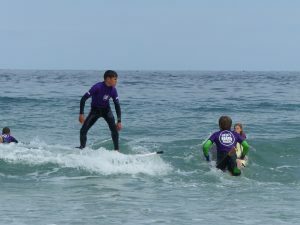 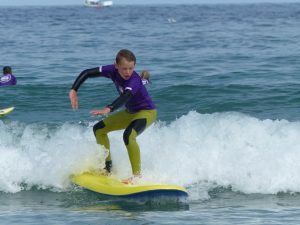 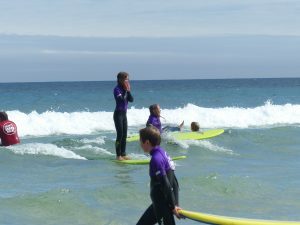 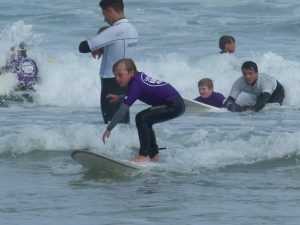 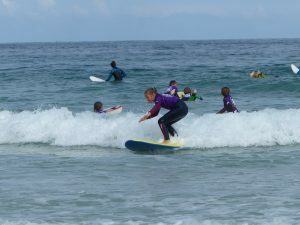 It required a large corps of instructors, helpers and parents in the water to get the kids on the waves. 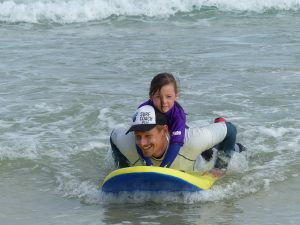 Nevertheless, despite the wipeouts, inevitable collisions and numerous duckings, the smiles told us that a challenging day in the surf is fun!